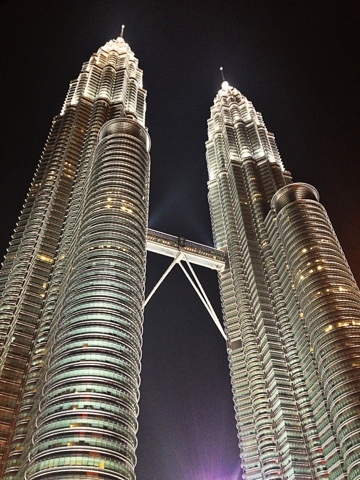 It's day 3 in Kuala Lumpur. Time is passing by way too fast. Don't you wish you could sometimes stop time? Well I do. In fact, there's not a day that goes by where I wish I could stop time just for that tiny little bit. Maybe I just need better time management skills? Lol! Anyhow, this is what I see every night and every morning when I wake up. It's a gorgeous sight!